WASHfunders»Blog»Can Selling Water and Sanitation Services to People Living in Poverty be Inclusive and Equitable? Oxfam GB’s Senior Advisor on WASH Market Development, outlines the debate that took place at this year’s Water & Health Conference, and summarises the key areas where differing perspectives came together. This article was originally published by Oxfam, to view the original article, click here. Market-based approaches to water and sanitation have grown in their scale and scope within the past decade, reflecting two glaring realities: those providing water and sanitation services must be financially viable if they want to stick around, and that there’s not enough public finance available globally to reach and maintain SDG 6 status, signalling the need for private sector investment. The idea of viewing citizens as ‘consumers’ of essential services (e.g. drinking water, toilets, desludging services) and supporting the private sector to play a significant role in providing these services is not without its detractors; and we’ve had significant debates internally here in Oxfam about how well these approaches fit in with our larger campaigns that call on governments to provide essential services. At this year’s Water & Health Conference at the University of North Carolina, we took that debate to a wider audience, bringing on board some of the global leaders in market-based approaches to debate the evidence – high school debate club style – around how these approaches can most effectively accelerate towards SDG 6 while remaining inclusive of the poorest. Should subsidy models for the poorest only be included once a market-based approach has attained minimum coverage targets? Consumer-facing subsidies have been a point of contention within the Water and Sanitation for Health (WASH) sector for quite some time. 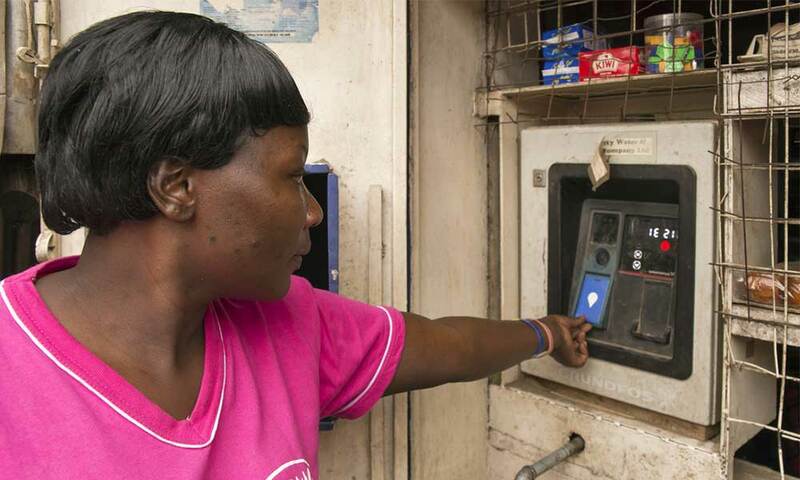 Although there’s a dearth of evidence in terms of how far market-based approaches reach the very poorest, there’s been growing acknowledgement that well-designed subsidy models are necessary. Subsidies are ok, but they must be ‘smart’. No matter how affordable a service or product gets, there’s always likely to be a gap that the poorest of the poor are unable to overcome. Subsidies aim to eliminate that gap. However, it is critical to first minimize this affordability gap through supply and demand side interventions (ensuring that-subsidies are not prematurely mispriced), and to deploy subsides in a way that doesn’t discourage payment by non-recipients. Targeting is a challenge. Some of the more exciting pieces of work on subsidies, such as sanitation subsidies in Cambodia by International Development Enterprises (iDE) and East Meets West in Vietnam, have been done in countries with government-established systems for targeting the poorest. In countries where a system isn’t already in place, creating the time and resources to develop it can be quite political and expensive. Public finance for subsidies should be available as part of social safety net programs. Governments already do this with education and health, so shouldn’t water and sanitation be the same? Should there be limits to how much the private sector benefits from selling WASH products and services to the poor? Profit cannot be ignored. There’s not a huge profit to be made selling WASH products and services to poor people. While it’s possible to develop a viable business doing this, it often needs public sector finance to absorb some of the risk, and allow businesses to survive and invest in research and development. Appropriate regulation and enforcement is critical. A tiered pricing strategy is an example of how profit can be maximized while ensuring price limits for poorer income groups. Pricing regulation around things like water tariffs and desludging, as well as social safety net programs, are needed to ensure that the poorest are not priced out; regardless of who is delivering the service. Responsible businesses are more than cheap prices. Private enterprises may not always be incentivized to sell to the poorest, as an ‘affordable’ price doesn’t provide a sufficient margin. However, in the long term, a sustainable business is one that is operating ethically within the market, looks after its employees, and creates affordable products and services. Both SMEs and larger companies are necessary to develop sustainable WASH markets. SMEs are critical for selling toilets in remote rural areas, but they can’t buy their toilet components from each other. They need larger businesses supporting the supply chain, and bringing talent. No matter the size of the business, it’s critical that we’re supporting companies that that operate in an ethical and inclusive manner if we’re serious about long-term change. As one of the debaters, what did I walk away with? That the government plays a critical role in ensuring that the poorest and most marginalized are not left behind. Knowing we have a role to support the development of social safety net programs, and advocate for the inclusion of water and sanitation. Not all service provision models will offer sufficient margins to stand on their own two feet financially; and we need to understand how best to support this shortfall in a sustainable manner. And that a strictly defined ‘approach’, is less important than results, impact and outcomes which include equity, inclusion and financial viability at their core. Tom leads Oxfam GB’s work in markets-based approaches to water and sanitation access. Tom works with programme colleagues and partners in countries around the world to establish affordable and sustainable operating systems throughout the water and sanitation value chain. The aim of his work is to ensure that water and sanitation systems are economically viable and provide affordable and inclusive services.